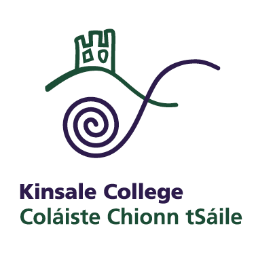 Kinsale College | Further Education courses in Cork. Education in this country is currently experiencing great change. We in Kinsale College are constantly reviewing our approach to the teaching of learners to meet these challenges. We are continuously developing and adapting our courses to reflect changes in work practices across industry and our links with businesses in Kinsale and the wider country. We welcome learners of all ages, nationalities and abilities including mature students who wish to return to education and training. We are justifiably proud of our learners and the results they have achieved in the past, which has enabled them to follow further courses of study in Universities at home and abroad. In addition to this many have progressed to Institutes of Technology and other Colleges of Further Education through the Higher Education Links Scheme and Cork Colleges Progression links. I encourage you to contact the college to get more detailed information on any course you are interested in. Choose wisely and remember that we are on hand to offer any further advice. This is your new beginning – your journey. By choosing Kinsale College you have taken he first important step.